You are here: HomenextTransportnextTransport - shipsnextPHAYAD NAVEE in Tilbury. 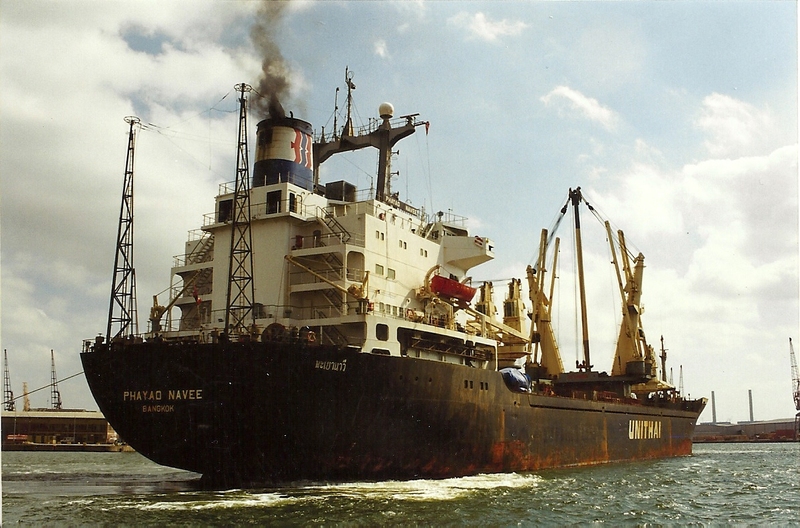 The Bangkok registered PHAYAO NAVEE manoeuvring in Tilbury Docks in Aug. 1999. She was built in 1978 with a 15,296 grt. 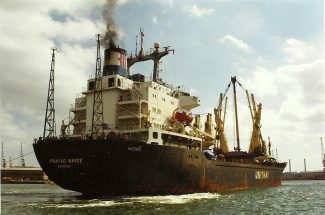 She was owned by the United Thai Shipping Corp.